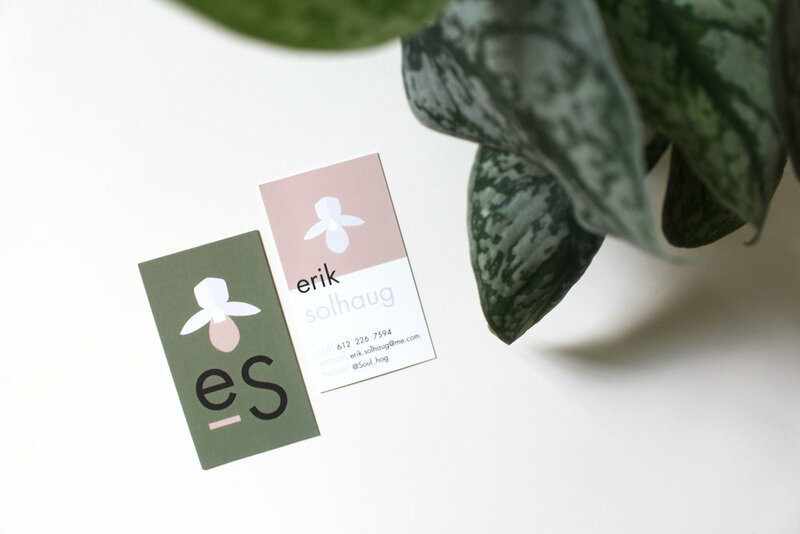 Erik Solhaug is a blossoming (no pun intended) PhD candidate at the University of Minnesota Twin Cities, with a budding (pun definitely intended that time) career ahead. In preparation for his much anticipated graduation in spring of 2019, he needed business cards to connect with fellow biologists at international conventions. As someone with love for Minnesota even deeper than his roots here, I thought incorporating elements symbolizing his home state would represent Erik well. Ultimately I decided to create a stylized lady slipper for his logo, as they are 1) the MN state flower 2) his favorite flower 3) rare and beautiful, much like his altruistic intent with his skillful science. We also settled on a natural and grounding color palette with pops of pink as a surprise.